B&W Society of Sound review | What Hi-Fi? Bowers & Wilkins is a name you would more usually associate with audio equipment than music downloads, but in mid-2008 it started the Bowers & Wilkins Music Club, which later became the B&W Society of Sound. It’s a little different to other hi-res download services in that it’s a subscription-based system with a much smaller catalogue than its competitors – so much so that they don’t even really feel like competition in the grand scheme of things. You pay £34 for the year, and with that you get immediate access to download any and all of the current Society of Sound catalogue – currently around 30 albums. This rather bijou catalogue changes every month, with two albums added and two taken away. The Society of Sound album line-up is curated by Peter Gabriel and the London Symphony Orchestra, the selection split right down the middle so half the albums on offer are classical and the others are picked from Gabriel’s eclectic Real World Studios. This makes the Society of Sound great for people who enjoy these particular types of music, or for those who just like discovering new music at a minimal cost. With access to around 54 albums over the first year, that works out at just 63p an album, with future years working out at about £1.40. With most other services you couldn’t even get a single hi-res track for that. Even better, owners of B&W kit can get access to the Society of Sound free for the first three months by registering their product, or anyone can trial a number of tracks free (but at CD quality only). You can also pay extra for a handful of on-demand downloads, which you don’t need to be a member to access, although this catalogue currently comprises a grand total of five albums. The website itself could do with a bit of work to make navigation a little easier, but it’s nice to look at with a handful of featured albums on the landing page (the Society of Sound site sits within B&W’s main website) and a navigation bar across the top. B&W does a great job at editorialising its selections, giving a deeper context to them. Each album has a write up with background information, and some photography to boot. There aren’t any track previews, nor is there the ability to download one single track at a time, so this write-up is handy to help you to decide if it might be something you’ll like. All the downloads are delivered in 24-bit/48kHz quality, and are available only as FLAC or Apple Lossless (ALAC). You download them in a zip file without the need for a download manager. We listen to Nielsen’s Symphonies 4 & 5 by the London Symphony Orchestra, picking out the first movement of the fifth symphony, Tempo Giusto, for our comparison. We find the recording to be wonderfully detailed, rhythmically precise and well focused. Its wavering wind and brass introduction has a solidity and confidence to it that differs to the airy, more delicate sound we hear in the same music from some rivals. Neither one feels necessarily right or wrong, but the difference will be recognisable through transparent kit, and we lean towards B&W’s take on proceedings. Do watch out for naming conventions though – B&W is a little messy with album titles, and we even found a typo in one, so you may want to overwrite album names for clarity. 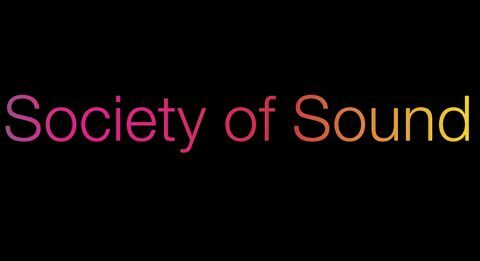 It’s certainly hard to argue with the value of the Society of Sound, but its niche catalogue means it will have limited appeal, particularly as the new music you’ll get every month is completely out of your hands. It’s worth a punt if you’re up for new discoveries, but of course there’s no guarantee you’ll like what you’re given. Whether you think that’s a gamble worth £34 is for you to decide – you could end up with a whole lot of music you don’t like, or you could just uncover your next favourite artist. Here at What Hi-Fi? though, we’re optimists, and for that reason we’re awarding it four stars.